Transair offers the right solutions for all of your compressed air, liquid and inert gas applications. Quick assembly, durability, superior performance and reduced overall cost of your compressed air piping, fluid quick connection pipe and inert gas aluminum piping needs. 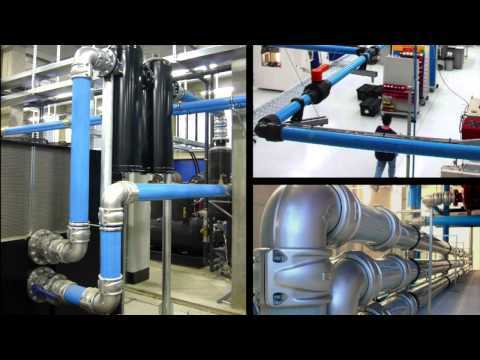 Transair aluminum pipe with push-to-connect fittings and valves may be your best choice for your compressed air distribution system. Whether a small garage or major industrial facility, we have the appropriate pipe size: 4” (100mm), 3” (76mm), 2-1/2” (63mm), 1-1/2” (40mm), 1” (25mm), and ½” (16.5mm) and an extensive range of accessories. Transair compressed air systems meets the requirements of numerous industrial, aerospace, electronic, pharmaceutical, medical, plastic, extrusion, manufacturing, power generation, automotive and garage workshop installations.